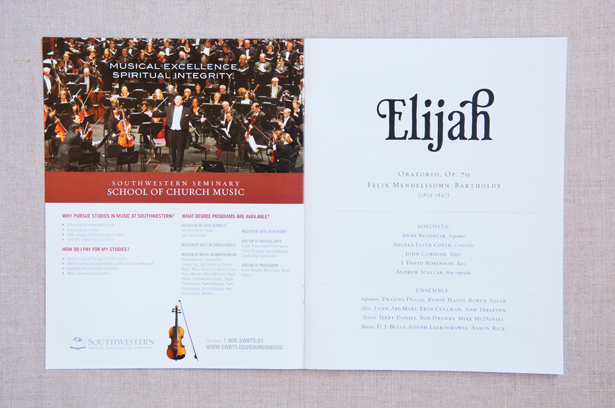 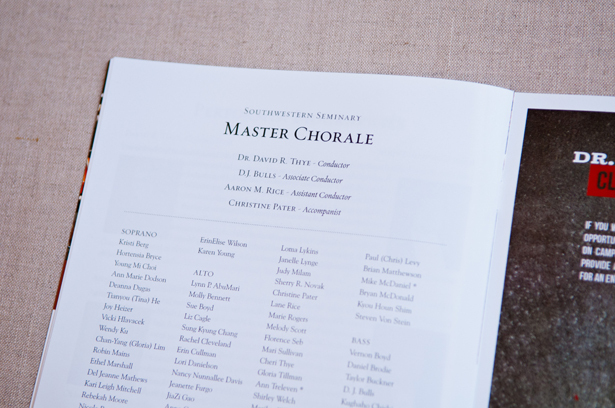 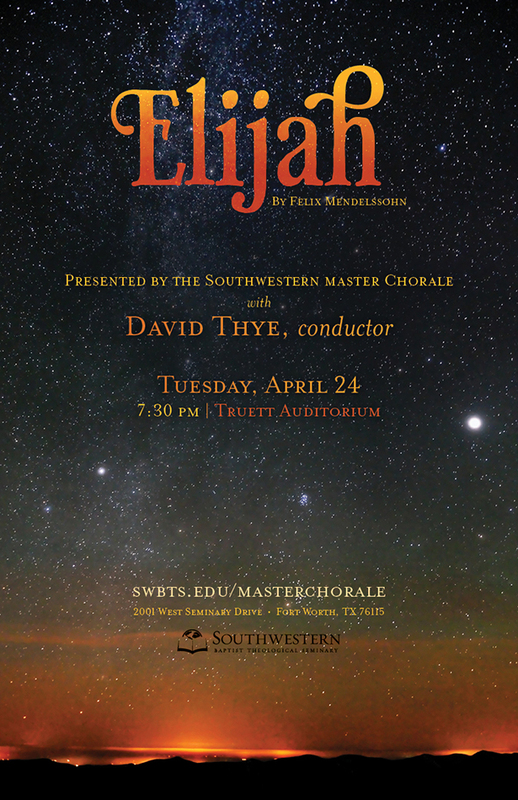 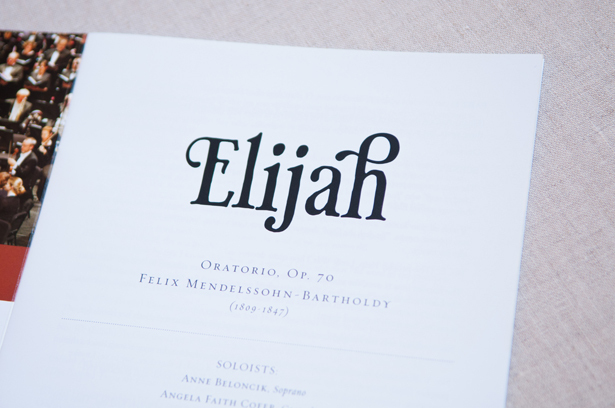 The School of Church Music performed the Elijah Concert. 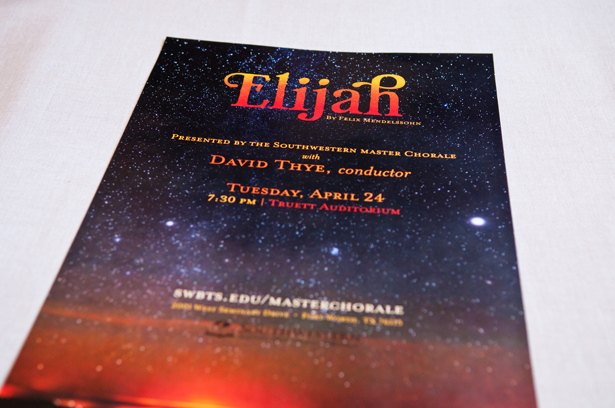 This wasn’t the school’s biggest concert of the year but one I still wanted to share. 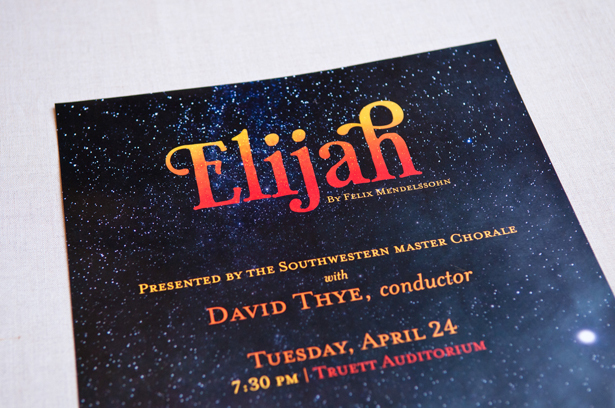 If you are familiar with the story of Elijah you will know where the fiery sky came from. 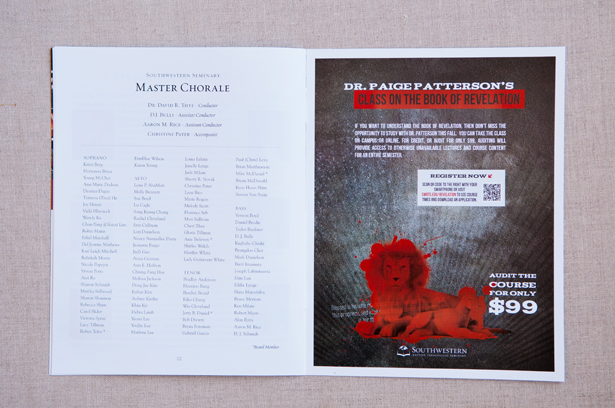 I was pleased with how the advertisements and program turned out.